This year, I decided to make a birthday list. I got the idea from Elsie from A Beautiful Mess, click here to see one of her lists. The idea is that you write a number of things to do before your next birthday. 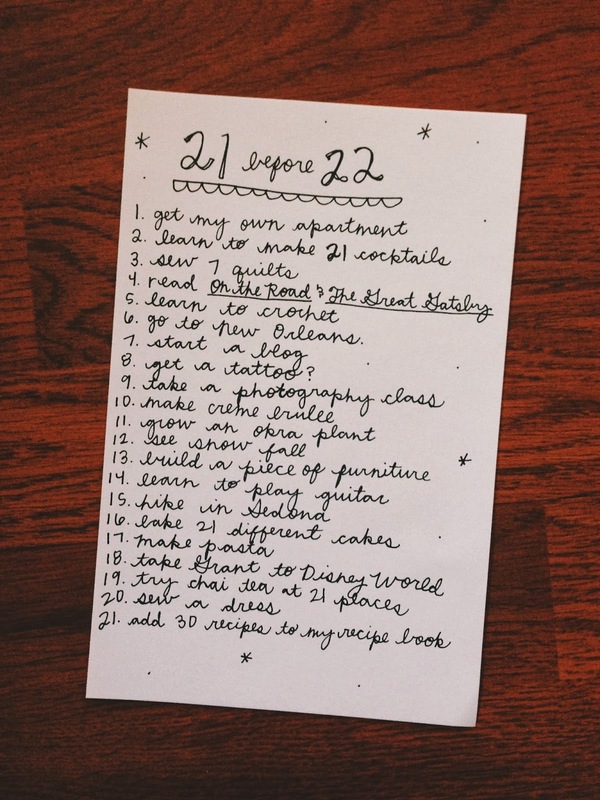 I just turned 21 in April, so I made a list of 21 things I want to accomplish before I turn 22. I wrote this back in April, but I will be having an update on the sixth month mark, so I wanted to post it. So, far I have loved having this list to encourage me to get more goals complete. Have you made a birthday list before? If not, make one on your next birthday!